If you’re thinking of gifting a drone this year, you’re so 2017. It’s time to get with it and stock up on remote-controlled paper airplanes instead. 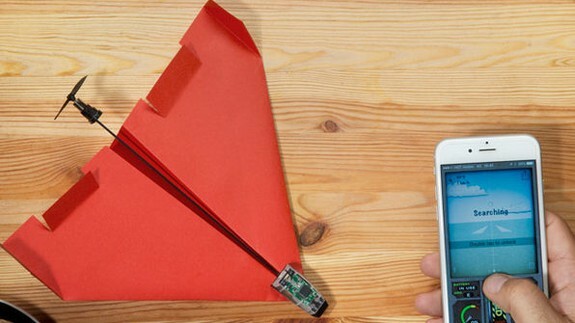 There’s something about making your own plane and watching it soar through the air that got us in trouble with countless authority figures while growing up, and thanks to PowerUp, technology has finally advanced to the point where we can turn any paper airplane into a remote-piloted drone.